Naturally NgaRoma Soap is Handmade the old-fashioned way, from natural ingredients then air cured for 5 weeks before they are ready to use. This ensures a mild, firm bar of soap that is extremely gentle and ultra-moisturising. 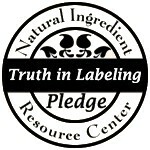 No chemicals, petrolium-by-products, dyes or sythetics are used in our soap. All soaps average 120gms as they are handmade no two soaps are the same. For that extra cleaning power without the harshness of commercial soap, Exfoliating soaps will leave you skin feeling invigerated and clean.